A group of volunteers, many of them residents who have in some way been touched by Ovarian Cancer, gathered at the Municipal Building on August 31st to Turn the Town Teal. Ovarian Cancer is the deadliest of all gynecologic cancers, and one of the five leading causes of cancer-related deaths in women. 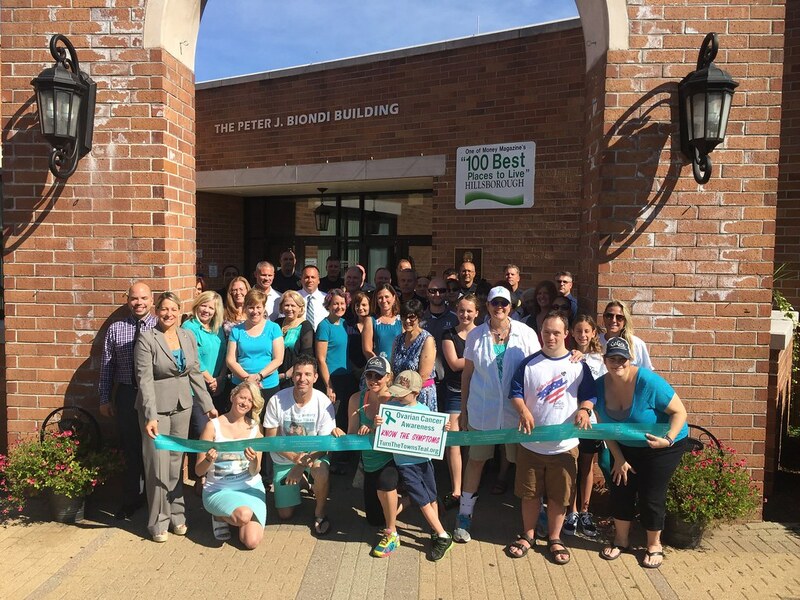 In an effort to bring awareness to the community, teal-colored ribbons have been distributed and tied throughout the community as part of the Turn the Town Teal’s national campaign.